It's been a long time since I read anything by Pauline Creeden and I can't believe that I didn't look up more of her work sooner! 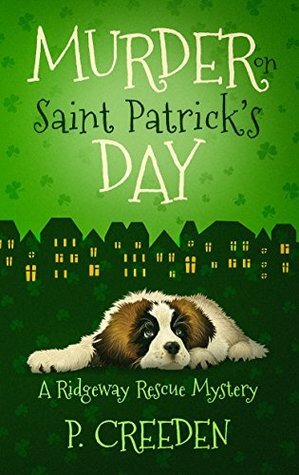 This is actually the third in the Ridgeway Rescue Mysteries series but the first one I read since I found it on St. Patrick's Day. The Good: This cover! How could you not fall in love with that pup? I have a serious soft spot for huge, fluffy dogs and I miss having one. This isn't about me though! This is about a very well written novella filled with enjoyable characters and one very observant main character that I hope gets everything she wants! The Bad: Umm...Yep, I got nothin'. The Summary: If you're a fan of cute, cozy mysteries that won't take you hours or days to get through, you're going to want to check out this series by Pauline Creeden. Personally, I'm going to be stalking her mailing list and Facebook group to find out when the next one in this series is going to be released!